Thanks to the impulse given by Salvatore Cafiero, Augustea S.p.A. became today an international shipping group whose business is worldwide. The fleet ranges from tugs, barges and ocean-going vessels plying the major global trade routes. Augustea tug activities include harbour service, deep-sea towage and deep-sea barge transportation. Augustea fleet of ocean-going vessels trades in dry bulk. 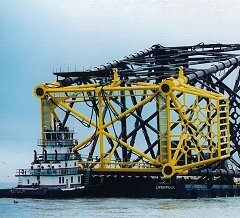 All aspects of deep-sea vessel operations are covered within the group. The head office is located in Naples, the harbour operation in Augusta (Sicily), the dry cargo fleet has its commercial office in London and its operational office in Buenos Aires, technical in Naples while the deep sea towage is in Malta. Since 1980 the company has a long record of highly risky salvages and it is a professional salvor member of the International Salvage Union. 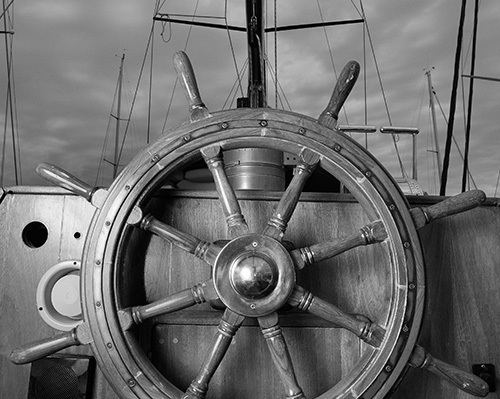 Augustea’s fleet fully complies with the International Safety Management (ISM) Code. 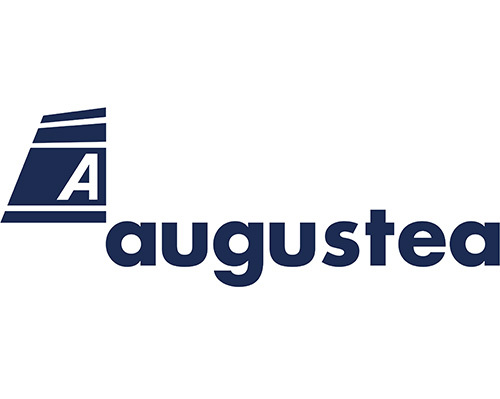 The Augustea Group has achieved ISO 9001 accreditation and 14000. Today, Augustea Group owns about 50 vessels, tugs and barges and controls another 24 ocean going vessels and employs 630 people, the most of them are crew members. From the year 1000, the main Italian maritime centers were Venice, Genoa, Pisa and, in the south of Italy, Amalfi. The latter emerged in the Gulf of Sorrento closed to the bay of Naples and over the centuries involved in its dealings the inhabitants of the nearby peninsula of Sorrento, which encloses the south-east side of the Bay of Naples and is a land of great maritime traditions that go back to the Greeks. Sorrento itself was probably founded by the Greeks: in fact, according to the legend of Ulysses, it was at Capri that he encountered the sirens. The 'piano' or plain of Sorrento makes up the central part of the Sorrento peninsula. Of the four towns that lie on the plain, Meta di Sorrento is the one that, in a long history, has had the highest numbers of dedicated seafarers. Cafiero is one of the most diffused names among the citizens of Meta, many of whom were ship-owners, ships' captains and sailors. They used to distinguish each Cafiero family from another by a nick name. The nick name of the family of Pietro Antonio Cafiero was: Masano. We have unmistakable traces of the Masano from the end of the 1500s, in relation to a Pietro Antonio Cafiero, who created in 1629 a mutual aid fund the 'Monte della S.S. Annunziata dei Cafiero' whose specific scope was that of rescuing sailors taken prisoner by the Muslim pirates. This Pietro Antonio Cafiero, had four children and one of them was called Salvatore. From this period on to our times, all the first-born, in the Cafiero family, were alternatively called, Salvatore and Pietro Antonio and, most of them, were involved in shipping. 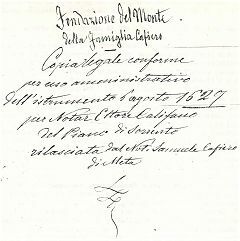 In the first years of the 19th century, a Salvatore Cafiero created, like his ancestor, a mutual aid fund, the "Insurance company and Exchanges Maritime of the Plain of Sorrento", before becoming, in 1826, the company’s manager of the "Company of the Ships with Vapor of the Peninsula of Sorrento. His son, bearing the same name Salvatore, born in 1833, owned four wooden brigs, three of which sailed under the command of three of his sons. One of them, Pietro Antonio, spent all his life from 1873 to 1930 in Meta, engaged in the world of ship owning and banking, in marine education and public affairs. He married Maria Laura Lauro and had five children, two of which, Leopoldo and Salvatore, went into maritime careers and for years commanded ocean-going vessels. It is in the middle of the 19th century, in 1850, that the financial interests of the Cafiero family in the maritime trade are recorded in the Register of Lloyd. This Salvatore Cafiero, born in Meta di Sorrento in 1909, founded Augustea in 1955. It is him who will give in 1955 the name of Augustea to the maritime businesses initiated by the generations of Cafiero which preceded him. He graduated as a long-haul ship's captain, going on to become Commander of the former, well known ship-owner Achille Lauro’s fleet, in charge during World War II and remaining so till 1964. Meanwhile, in 1955, he founded the harbour tug company 'Augustea' for service in the port of Augusta (Italy's leading petrochemical port of call, situated between Syracuse and Catania) and became controlling shareholder of the Società dei Rimorchiatori di Messina e Milazzo. 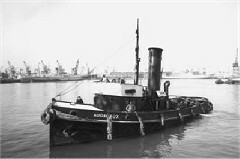 At the time of his death in 1982, Salvatore Cafiero's ship and tug business that was developing strongly announce the future developments of the company Augustea.